Get in the Huddle with the Red Knights! Experience the thrill of the game with the Norchester Red Knights! Our competitive football program is rich in history and tradition. For over 50 years, we have been teaching the fundamentals of the game that promote teamwork and camaraderie among our players. To ensure a safe and positive playing environment, each player is placed in a division based on age of their peers. Our programs have no cutting of rosters. As one of the football feeder programs for Owen J. Roberts High School, we are dedicated to the development of football skills in our student athletes. We are a proud member of the Bert Bell Memorial Football Conference. This league was established to equip players with the skills, physical conditioning and mental attitude necessary for the pursuance of the game at the high school level. This teaching model provides our coaches with the right materials and teaching techniques for different age groups. 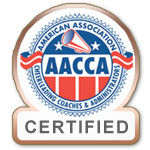 All coaches, assistant coaches and any volunteers in direct contact with players have completed a criminal background check and child abuse clearances. 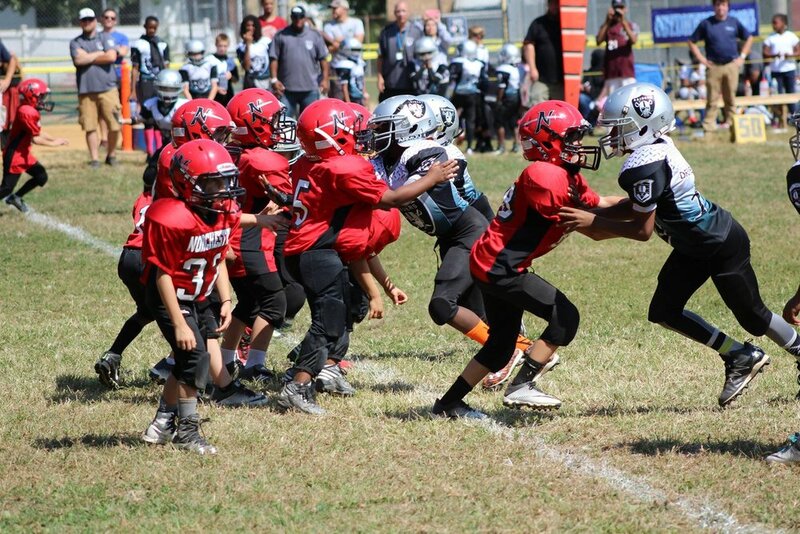 Football is considered one of the most rewarding, yet demanding of all little league sports. Therefore, it requires a strong commitment to the program. The success of the program is driven by the level of support delivered by our coaches, players, parents, volunteers and the community. Registration is now open for the Fall 2019 Football Season! For questions about the Norchester Red Knights football program or if you can coach during the Fall 2019 season, contact Football Director Phil Longworth. * Age as of August 1 of the playing year. Football for more details or contact our Football Director Phil Longworth. Our Family Orientation will occur at Connie Batdorf Park in Pottstown, Pennsylvania and will be announced shortly. Families can meet under the pavilion. Practice starts the week of August 1, 2018. Regular season games begin on Saturday, September 2 (Labor Day weekend) and run through the end of October. If your tackle team qualifies for the playoffs, playoff games will run until the second or third week of November. In August, practice is two nights a week (Tuesday, Thursday) from 6:00-7:30pm and Saturday mornings from 9:00-10:30am. After school starts, practice is two nights a week (Tuesday, Thursday) from 6:00-7:30pm. We plan to hold practices at North Coventry Elementary School, but this may be subject to change due to field assignments determined by the school district. Practice schedules and details will be issued by the beginning of August. Games are usually on Saturday and occasionally on Friday evening or Sunday afternoon. Home games are played at Connie Batdorf Park in Pottstown, Pennsylvania. For away games, the flag team travels to other conference team locations, usually in Chester County and sometimes in Delaware County. In August, practice is tentatively three nights a week (Monday, Tuesday, Thursday) from 6:00-8:00pm and Saturday mornings from 8:30-10:30am. After school starts, practice is three nights a week (Monday, Tuesday, Thursday) from 6:00-8:00pm. We plan to hold practices at North Coventry Elementary School, but this may be subject to change due to field assignments determined by the school district. Practice schedules and details will be issued by the beginning of August. Games are usually on Saturday and occasionally on Friday evening or Sunday afternoon. Home games are played at Connie Batdorf Park in Pottstown, Pennsylvania. For away games, the tackle teams travel to other conference team locations, usually in Chester County and sometimes in Delaware County. At the end of the regular season in late October, the Bert Bell Memorial Football Conference will develop playoff game brackets for the Tackle teams that qualify in each division. Teams continue in the playoffs to the Division Championship Game in mid-November or until eliminated. Playing time is one-hour with two halves and a 5-minute halftime. Each team has 11 players on the field. Touchdowns are worth one point and there are no extra points or safeties. Quarters are 10 minutes, with a maximum of 10 minutes at halftime. Each team has 11 players on the field. Touchdowns are worth six points. The point after touchdown is worth one point if by pass or rush, or two points if by place or drop kick. A game during the regular playing season can end in a tie and is counted as such. For practice, all Flag players should wear practice pants or shorts, a t-shirt that is not too loose and can be tucked in, a mouthpiece and sneakers or cleats. Please bring a water bottle labeled with your child's name. For practice, all Tackle players should wear a helmet, chin strap, mouthpiece (not clear), red practice jersey, shoulder pads, practice pants, athletic supporter and cup, girdle to place pads into, hip pads, thigh pads, knee pads and tail pad (or practice pants with built-in pads). Please bring a water bottle labeled with your child's name. Norchester Red Knights will provide your child with a game jersey, game pants and flags. Uniforms and equipment are to be returned clean after the last scheduled game. You will need to provide a colored mouthpiece (not clear) and sneakers or cleats (molded rubber). NEW THIS YEAR, Flag football players may keep their game jersey at the end of the season! All Tackle players will wear a helmet, chin strap, colored mouthpiece (not clear), game jersey, shoulder pads, flat black game pants with built-in pads, athletic supporter and cup. The Norchester Red Knights will provide your child with a helmet, game jersey and shoulder pads. Uniforms and equipment are to be returned clean after the last scheduled game. You will need to provide cleats (molded rubber), chin strap, colored mouthpiece (not clear), athletic supporter and cup, red practice jersey and flat black football pants with built-in pads. FOR ALL PLAYERS: There is a $150 BOND CHECK REQUIREMENT for your player to receive their uniform. Each football player is required to have a physical exam completed by a physician before practicing with the team. This is done at the expense of the parent/guardian. Physicals must be returned no later than August 1, 2019, to start practice. Flag Football players do not need a League Photo ID Card. All Tackle Football players will need to show an ORIGINAL BIRTH CERTIFICATE (not a copy) at a later date to obtain a Bert Bell League Photo ID Card for the season. This is to verify children are the age represented at registration. Our Parent Handbook provides parents/guardians with a general outline of our football program. It will help you know what to expect this season with your child’s participation.